Mariama was introduced to music by her father, a professional guitarist in Brazil, and chose violin as her way to travel the world and gain exposure to different cultures. 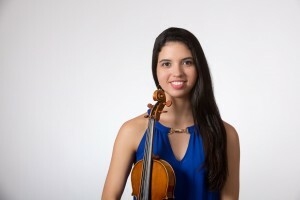 She is a recent graduate of the University of Memphis Rudi E. Scheidt School of Music. Mariana is working with the orchestra programs at Kingsbury and Snowden Elementary Schools.